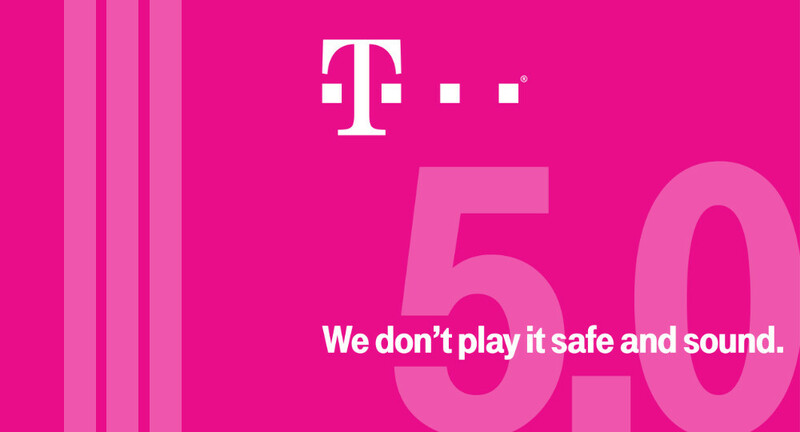 During T-Mobile’s newest Uncarrier event, titled 5.0, the company is making its latest, potentially industry-changing moves that start by offering customers a 7-day free test drive of their network with an iPhone 5s. They also announced that their Wideband LTE is now in 16 markets and VoLTE is in 15 total (here is the full list). As far as their LTE network goes, T-Mo’s Wideband LTE is now in 16 total markets, bringing a speed boost with peak speeds up to 150Mbps. VoLTE (voice-over-LTE) is also moving into new markets, bringing the total to 15, which means HD voice calls over data. Update: T-Mobile went a step further by announcing Uncarrier 6.0, which is music freedom or data streaming that doesn’t count against your data plan. Read all about it here. T-Mobile Test Drive offers every American an iPhone 5s with unlimited service on T-Mobile’s network for a full seven days – completely free. SEATTLE, WA, June 18, 2014 – In another of its signature moves, T-Mobile US, Inc. (NYSE: TMUS) today introduced “T-Mobile Test Drive” and pioneered a new way to buy wireless in this country. With T-Mobile Test Drive, people can receive an iPhone 5s and unlimited nationwide service to take T-Mobile’s network for a data-intensive, seven-day spin at no cost whatsoever. The new initiative puts T-Mobile’s data-strong network in the spotlight, as the Un-carrier rolls out yet another major network expansion ahead of the competition. The Un-carrier’s latest initiative takes aim at the painful process of buying wireless in America today. People must decide on a wireless provider without knowing how the network will really work for them – where they live, go to school, work, and play. As a result, the U.S. wireless industry has one of the highest “remorse rates” of any out there. Nearly half (46%) of wireless customers say they’ve signed up with a carrier and then wanted to leave, and one in 10 have actually left within the first 30 days of making a switch.1 It’s a pain point ripe for an Un-carrier solution. Starting this Monday, June 23, people can sign up for T-Mobile Test Drive at www.t-mobile.com/testdrive. A few days later, they’ll receive an iPhone 5s fully loaded and ready to go, and they can put T-Mobile’s data-strong network to the test for seven full days on the “most forward-thinking” smartphone. After the test drive, just drop it off at any T-Mobile store. That’s it. Absolutely no money down. No obligation. No strings attached. T-Mobile Test Drive marks a new campaign to let consumers experience first-hand how the Un-carrier’s network is different, even as the company today announced two massive network expansions. T-Mobile has expanded Wideband LTE into 16 total markets, giving all T-Mobile LTE devices a speed boost with capable peak network download speeds up to nearly150 Mbps – that comes out to a 90-minute HD movie download in under three minutes or an 11-song music album in seven seconds. Now, as mobile broadband usage skyrockets, Un-carrier customers are reaping the rewards of a network designed to be data-strong and concentrated where people use data the most – unlike older carrier networks built by phone company utilities. T-Mobile customers are using more wireless data on average than the major national carrier customers – 61% more than Sprint, 69% more than Verizon, and 100% more than AT&T. T-Mobile customers also have more network capacity per customer than with any other major national wireless company, a full 70% more network spectrum per customer than Verizon, and they’re streaming, tweeting, using FaceTime and more at lightening speeds on America’s fastest nationwide 4G LTE network. Learn more about T-Mobile’s network expansion and data-strong network design in this blog post. For more information on iPhone, please visit www.apple.com/iphone. For more information about T-Mobile Test Drive, visit t-mobile.com/testdrive or the T-Mobile Newsroom. Animated GIFs Come to Twitter!